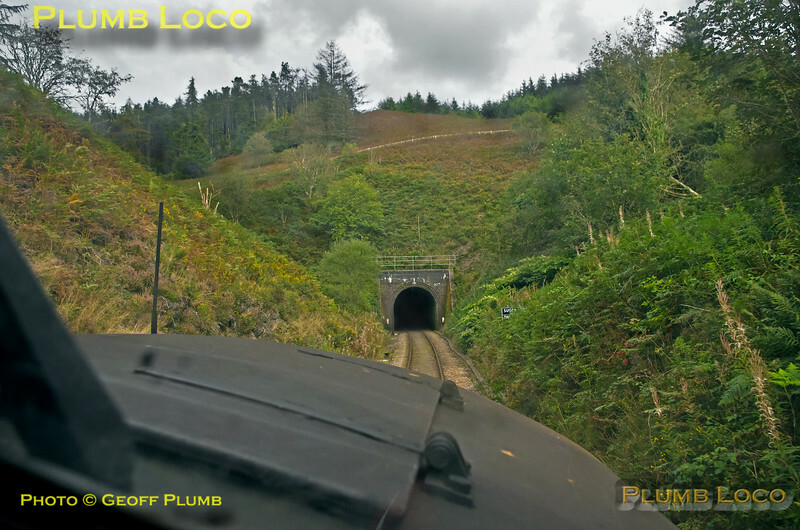 View from the cab of 37175 as the BLS "565 Special" approaches the 1,001 yard-long Sugar Loaf Tunnel on the 1 in 60 climb to the summit of the Central Wales Line at 820ft above sea level at Sugar Loaf Halt, just beyond the far end of the tunnel. At this stage (and several others), 37254 was assisting from the rear with the heavy nine-coach train. 16:52, Saturday 2nd September 2017. Digital Image No. IGMP31081.